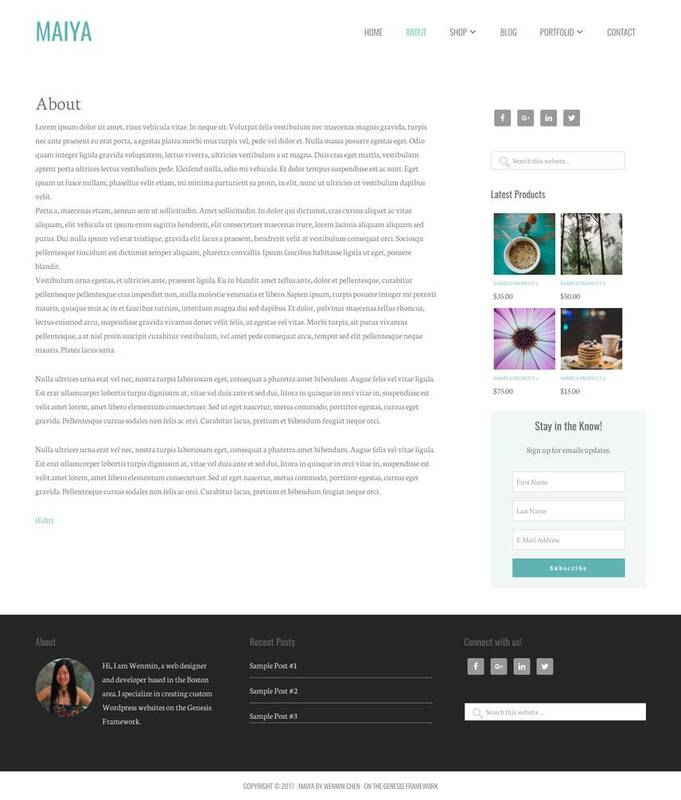 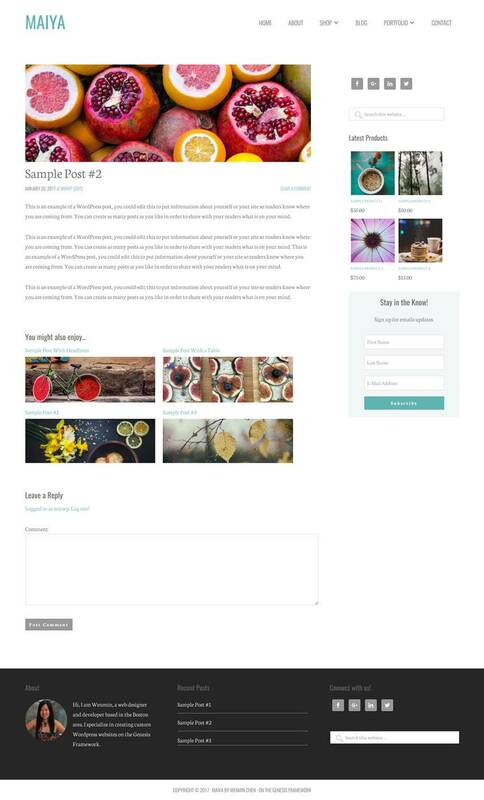 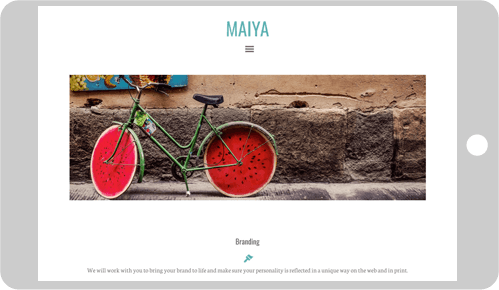 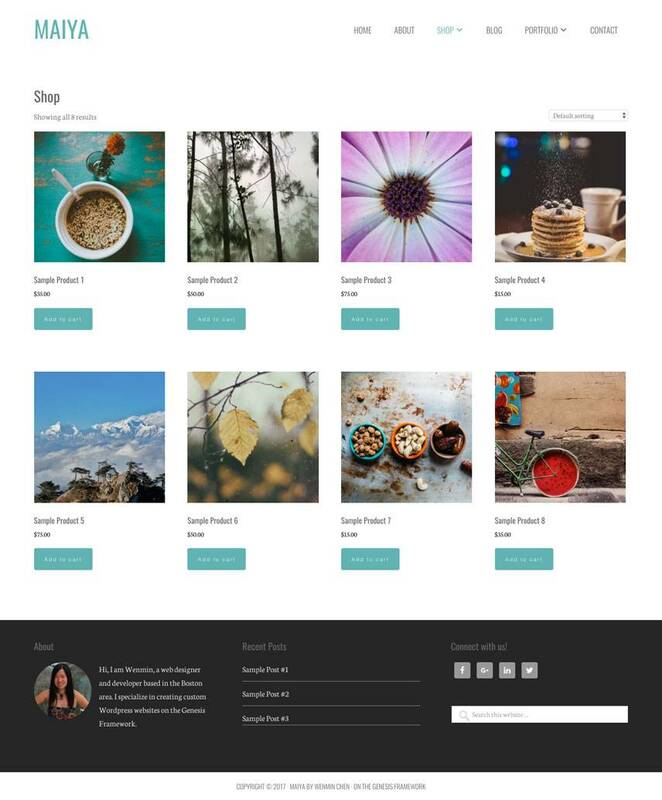 Maiya is a custom Wordpress child theme built on the Genesis Framework. 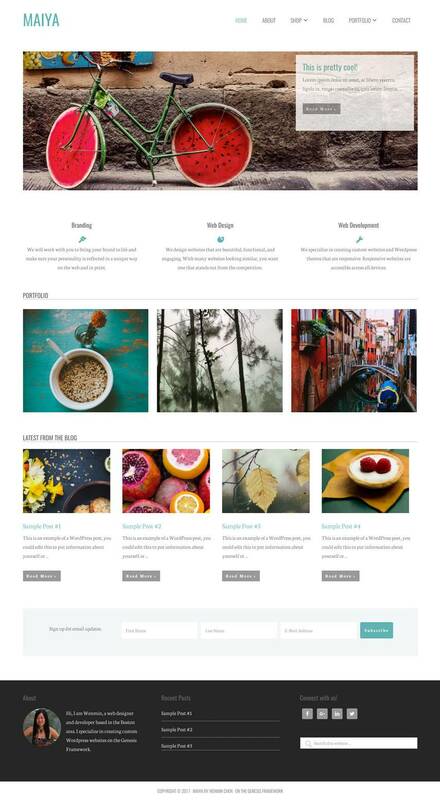 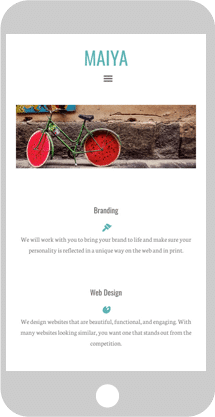 It is a responsive, clean, minimalist theme with beautiful topography. 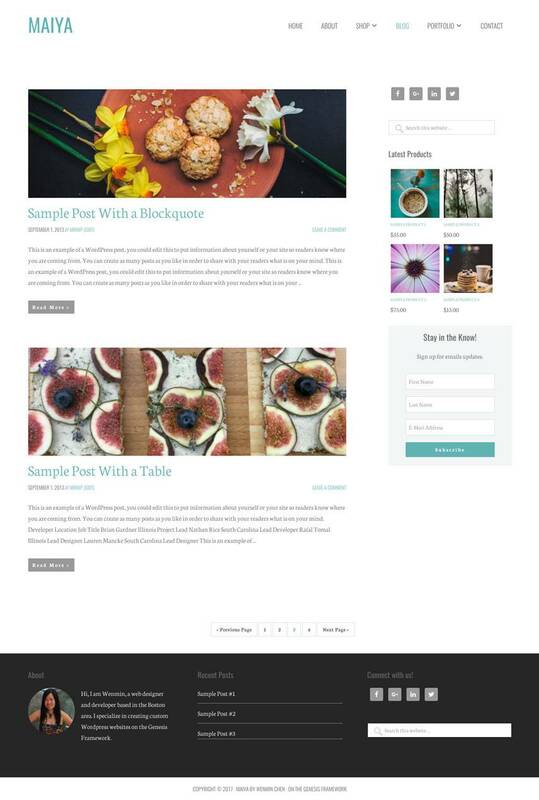 It uses jquery masonry to display portfolio items and would be suitable for a portfolio site. 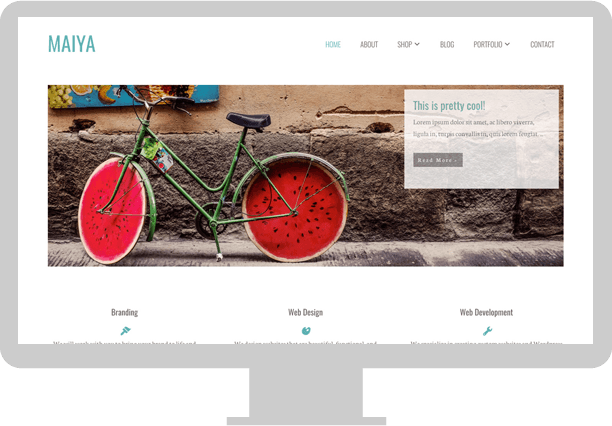 In addition, it incorporates woocommerce and can be use for an ecommerce site. 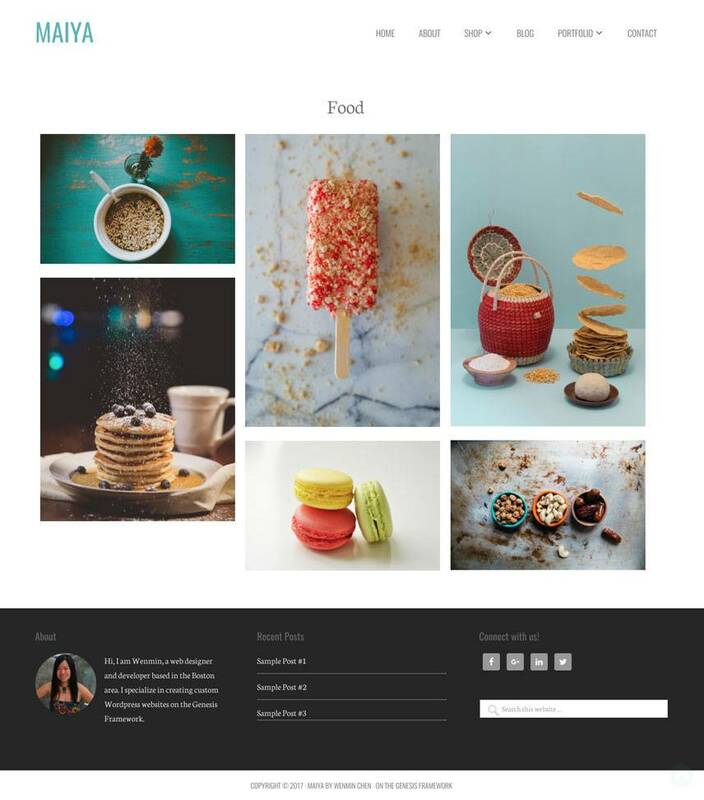 The theme was built for my personal portfolio.